When the flu comes sneaking up on us every season, you have a chance of catching it. Naples and southwest Florida has seen a surge 3X worst this year than last. It happens and you usually get through it though those few days or even a week can be pretty brutal because it is uncomfortable to be so sick. Your body is fighting the ailment and in order to get better, you have to overcome the germs and keep the secondary sicknesses at bay. Of course, if you prepare a bit better, then you will ensure that the flu is not going to catch you this season and you can try to stay as healthy as you possibly can. Some of us are just lucky and stay away from sicknesses every year, all year long. This is especially true for those that do not have kids but when you have kids, they seem to spread germs faster then any other person out there. Beat the flu with the right tips that keep it away. 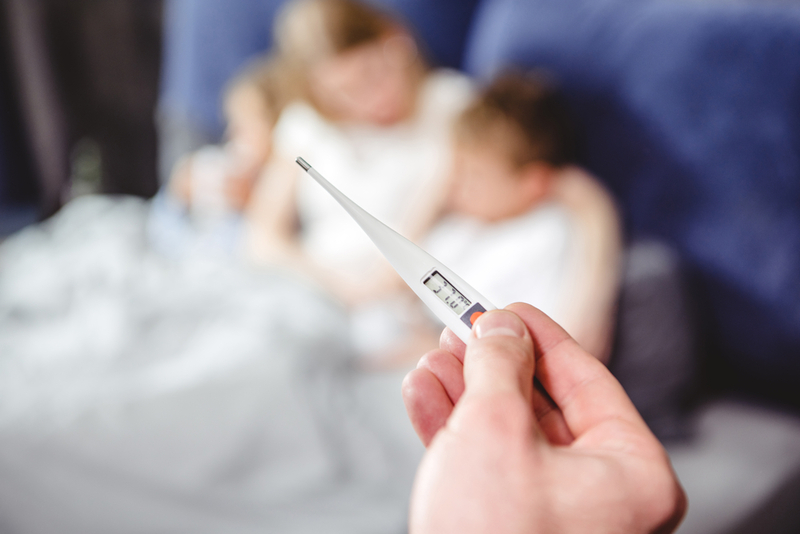 If you are sick, you’re not going to want to run out, get medicine and then have to deal with it at home. Instead, just make sure you have fever reducers, cough and cold medications and anything else that is going to make you feel much more comfortable while you work to get better and over the flu. Make sure you have a thermometer handy, as well because this is something that can easily run off and can become hard to find when you search for it. Tissues, cold and flu medications, vaporizers, cough drops and other important things should be kept in the cupboards of the home to help with the symptoms that you are feeling. This is what is going to help you get better, not worse! The More Blankets, The Better! When it comes to using blankets, nothing is better then snuggling up under one and being able to rest. When you or someone you know is sick then this is the best thing that you can do for yourself! Not having the items in your cupboards that are going to soothe you and give you nourishment so you can get better. Soups and broths are a must since these can ensure that the person gets the nourishment that they need and the comfort food that they want. Teas are also ideal to have since they soothe the body and can provide a warm way to hydrate. However, it is important to stay away from the caffeine that is out there. This is because it can dehydrate you more than without the caffeine. Garlic is also the best for when you have a sore throat and other areas of the body. It is a great way to clean out the infections, sicknesses and other ailments that are causing the person to be sick. You want to make sure to get as much Vitamin C as you can to get better, as this is what is going to help boost your immunity and help your body fight the sickness that seems to be going around everywhere. When it comes to fighting off any sort of illness then you want to make sure that you take care of yourself. You need to take vitamins, exercise, eat healthy, get enough sleep and drink plenty of water. When you do this, you have less of a chance of having any illnesses. As always, make sure that you get your flu shot in the beginning of the year to prevent the flu or help reduce the time that you have it. Call us at (239) 331-5114 today if you think you have the flu or would like to schedule an appointment with Dr. Socrates for a vaccination.